Solids from Liquids Separators | De-Mar Inc. 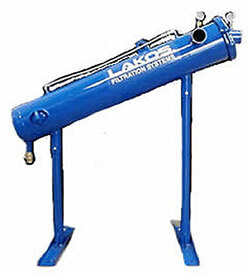 Distributor of Lakos separators and filtration systems for industrial applications. Separators used for solids removal in spray nozzle and small orifice protection, prevent solids accumulation in pits-sumps-tanks, pre-filter for finer filtration systems, heat exchanger protection, cooling tower filter, groundwater, home well filtration, and reduce waste sent to drain. Tested and proven to remove 98% of solids rated at a specific gravity of 7.5 and sized at 74 microns and up! 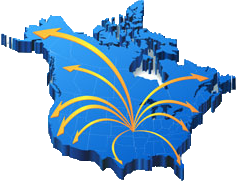 Efficiency improves on recirculating systems and larger and heavier particles. Individual separators provided in carbon steel, stainless steel, cupro-nickel, fiberglass-reinforced Polyester, Monel clad steel, AR steel, Titanium, industrial grade PVC, and USDA materials. Connection sizes from ⅜” NPT to 20″flanged. ASME coded vessels available. Flow rate from 3 GPM to 12,750 GPM. Maximum pressure of 150 PSI. Pressure loss across separators vary at a range of 4 to 12 PSI based on size and recommended flow. Single separators available for in-line service or closed loop solids recovery systems. Low profile or vertical profile units for high flow applications. 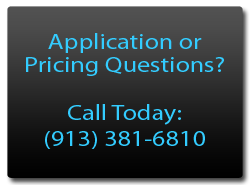 Solids purging and automated control valve options available for efficient solids removal from separators. Motorized ball valve, pneumatic pinch valve, and fail-safe pneumatic ball valve with control panel. Complete Pre-Fabricated Solids Handling Package also available for capturing and removing solids. 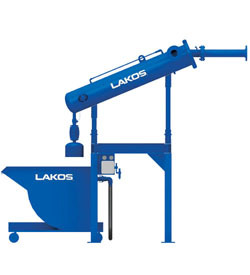 Closed loop recovery system with bag filter, purge liquid concentrators, drum shroud decant system with 55 gallon drum, and Lakos roll-away hoppers in ½ and 1 yard models. Complete skid systems available with Lakos PRX-PREP system package. 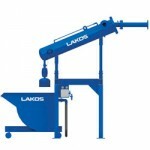 Lakos separator, purge system, and solids handling in one complete system! 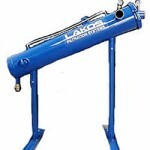 Lakos TC Tower-Clean system for removal of grit and scale from cooling tower basins. Pump, strainer, Lakos separator, solids collection chamber, and electrical panel. Submersible pump protection separators for groundwater wells. 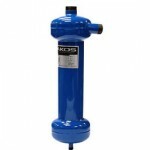 Removes sand, increasing the live and efficiency of turbine and submersible pumps.